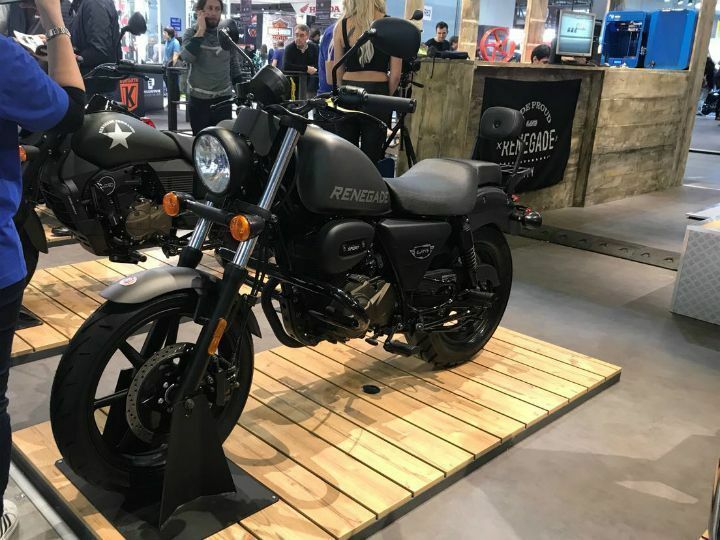 At the 2018 Auto Expo, UM Motorcycles showcased the upcoming Renegade Duty alongside its all-electric offering, the Renegade Thor. The Renegade Duty, which is set to take on the Royal Enfield Thunderbird 350 and the Bajaj Avenger 220 Street, was showcased in two variants - the Duty S (Rs 1.1 lakh) and the Duty Ace (Rs 1.29 lakh). Now, sources close to the company have suggested that the deliveries of the entry-level cruiser will commence in the last quarter of the year, However, we expect it to hit UM showroom across the country by late-September or early-October. Coming to the bike itself, the UM Renegade Duty sports a typical cruiser-like design, like the RE Thunderbird. However, unlike the chrome elements found on the RE motorcycle, the Duty settles for a rather subtle look with blacked-out parts and aluminium alloy wheels. On the feature front, it packs a single-pod instrument cluster and LED lights. Powering the Duty S and Duty Ace, is an all-new 230cc air-cooled single-cylinder motor, which replaces the 280cc liquid-cooled and fuel-injected engine seen on the UM Renegade Commando Mojave. UM has stated that this was done purely as a cost-saving measure. The latest engine delivers 18PS of power and 20Nm of torque, and comes mated to a 5-speed gearbox. According to reports, the company is also planning on expanding its lineup in the 450cc and 650cc segments to compete against the likes of Harley-Davidson’s Street 750 and Royal Enfield’s upcoming Interceptor twins. The company is in the process of setting up a new plant in Hyderabad, which will help boost its annual capacity to 30,000 units. UM’s biggest task, however, is to match the number of dealerships and service centres that its rivals currently offer. Can the American cruiser manufacturer successfully assert its dominance in the competitive Indian market? Only time will tell.